Who we are: This page was established by Corrie's brother-in-law, Bobby Goddard, and Corrie and James' family. 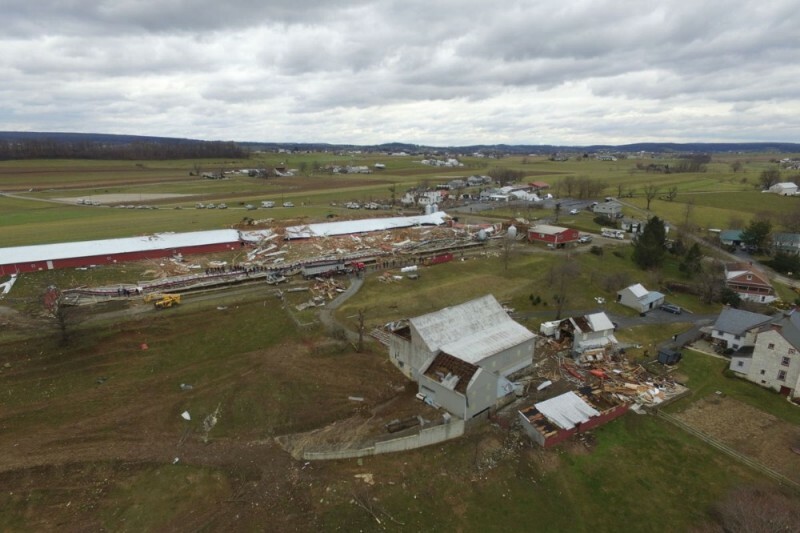 Why we are raising money: The Eby farm was hit by a tornado Thursday evening, 2/24. By God's grace no one was hurt and their house was protected, but almost every other area of the farm was nearly destroyed, including their two chicken houses. What the money will be used for: As anyone has seen from the pictures on FaceBook, the newspaper, or from visting the farm, the damage is pretty extensive. Insurance will help cover some of the costs, but they will be without a steady income until the chicken houses are rebuilt, which could take many months. We are setting up this GoFundMe page to help James, Corrie and the girls with the numerous expenses that will come up as they rebuild their beautiful farm. Thanks for your support of the Eby family!